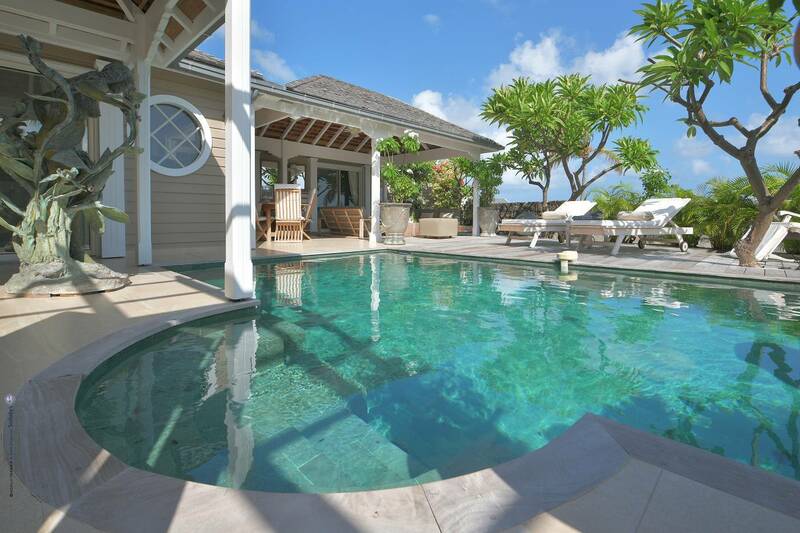 Dream About: Long, lazy beach days – two beaches are just a walk away – and lots of pool time at your villa. 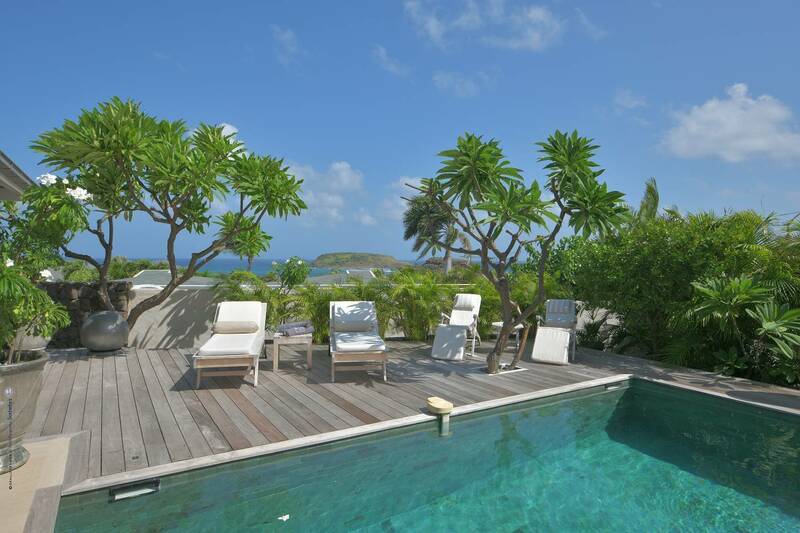 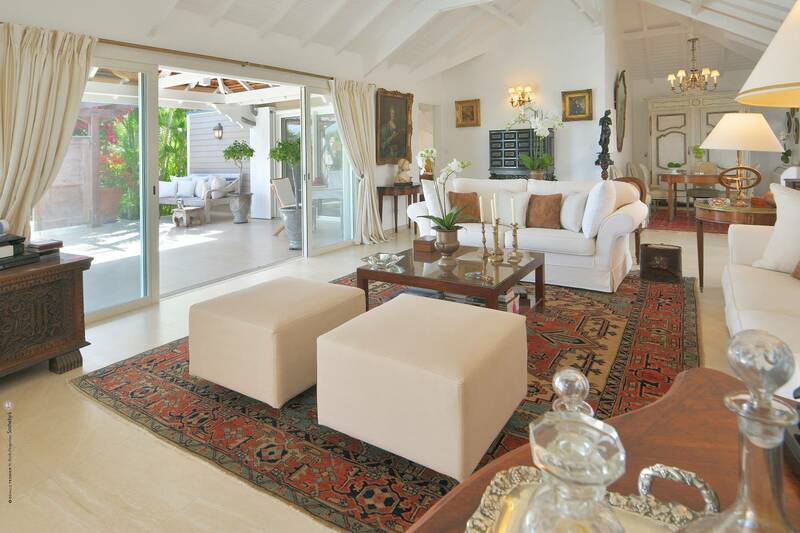 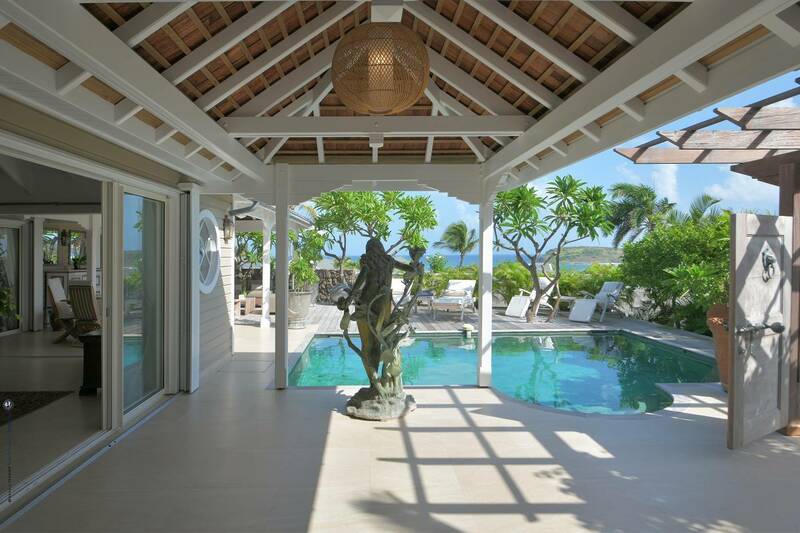 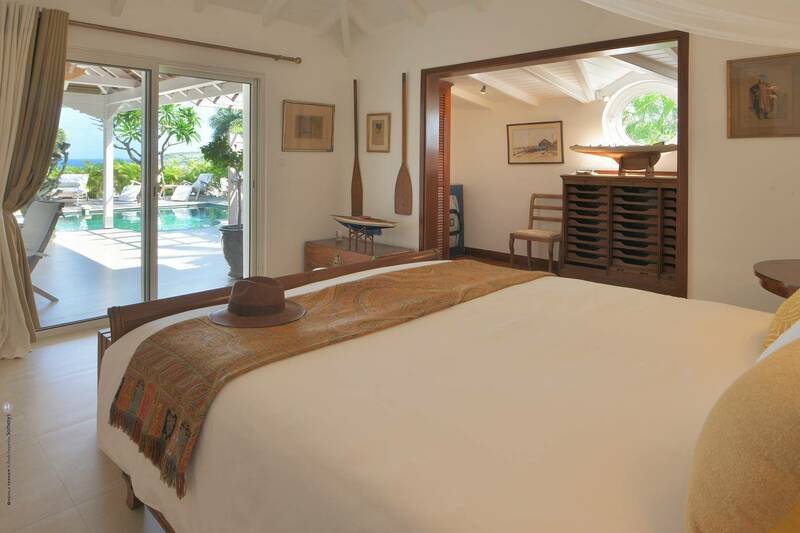 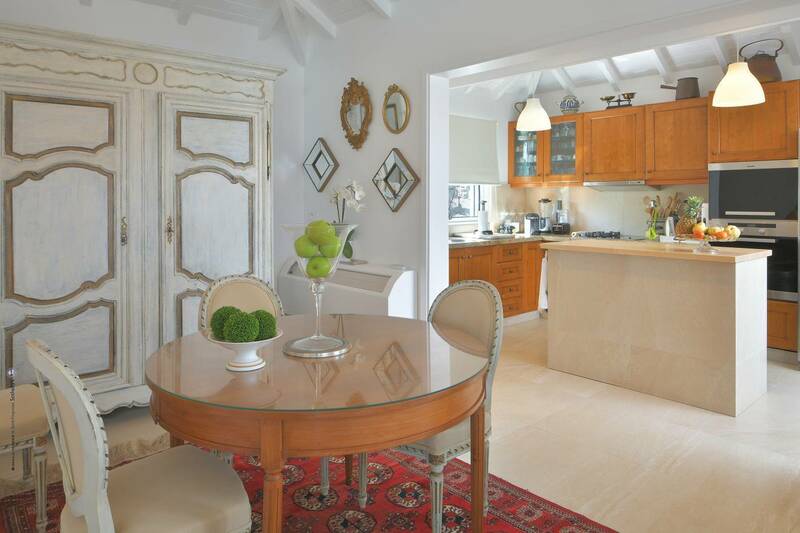 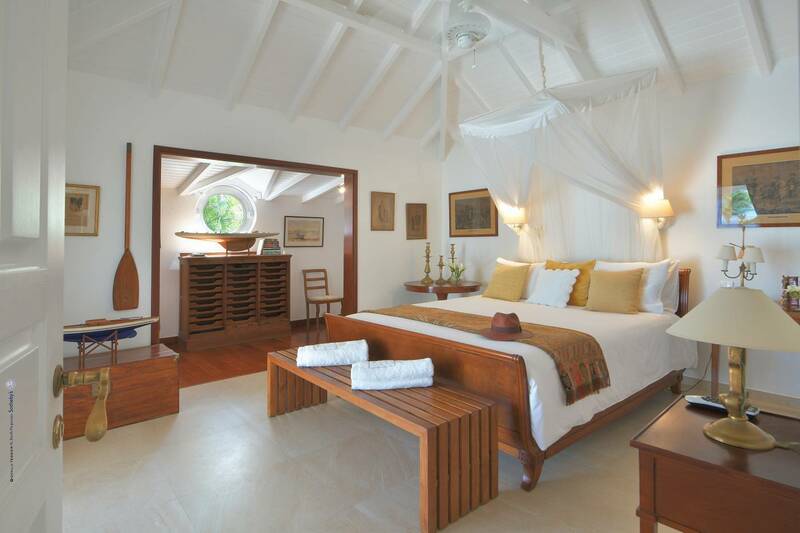 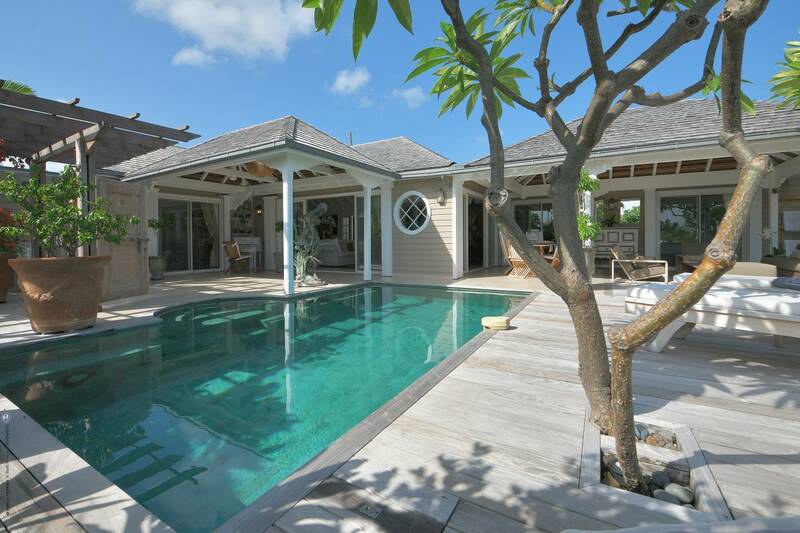 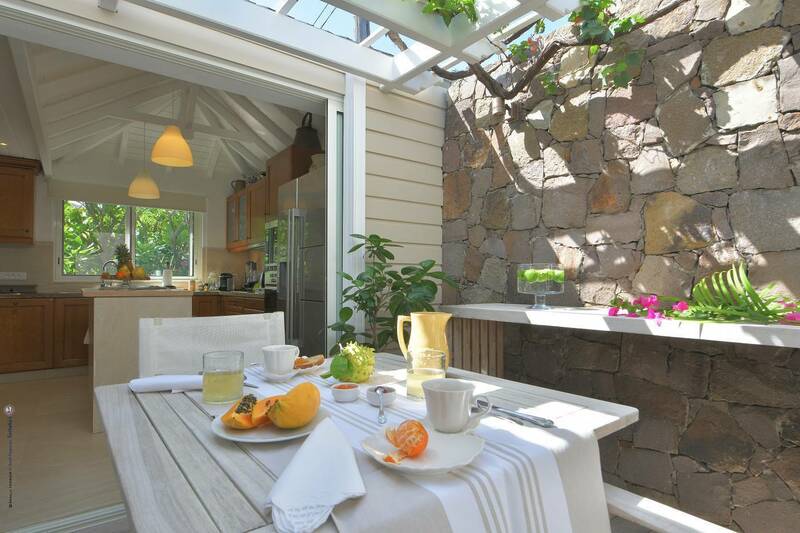 This stylish one-bedroom villa is beautifully situated in scenic Marigot, walking distance to two beaches (Grand Cul de Sac and Anse Marechal) and close enough to hotel Le Guanahani to stroll over for breakfast, lunch, dinner or a drink at its seaside bar. 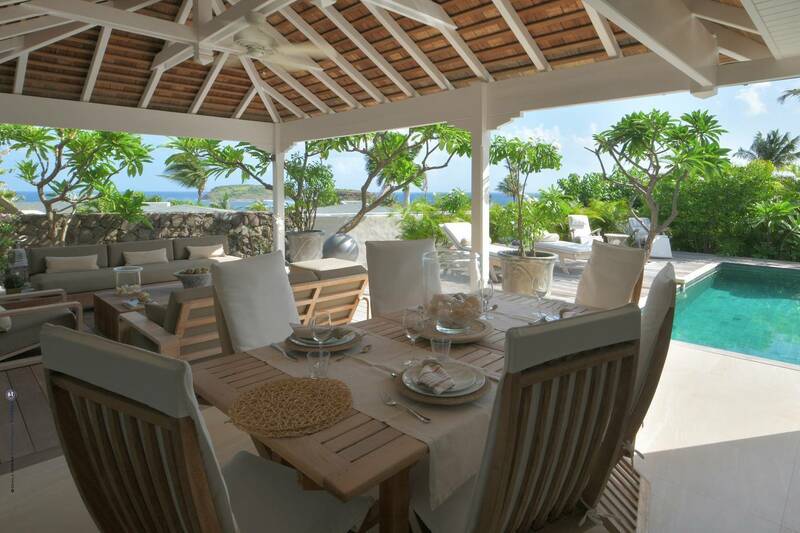 Villa Genia has a special relationship with the hotel and upon arrival guests are walked over by the villa’s manager for an introduction and the opportunity to set up an account (credit card on file) that will allow them to sign for food & beverages and a few other services. 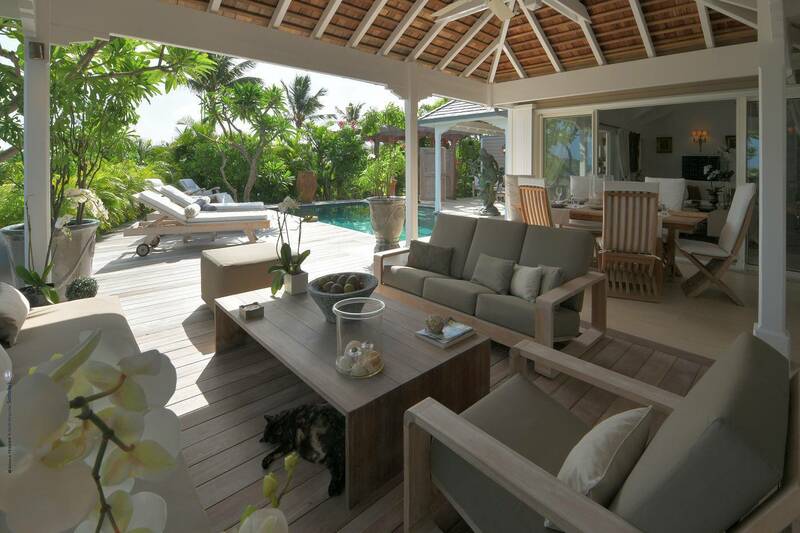 Guests also enjoy the complimentary use of the beach chairs, umbrellas and tennis courts, as available. 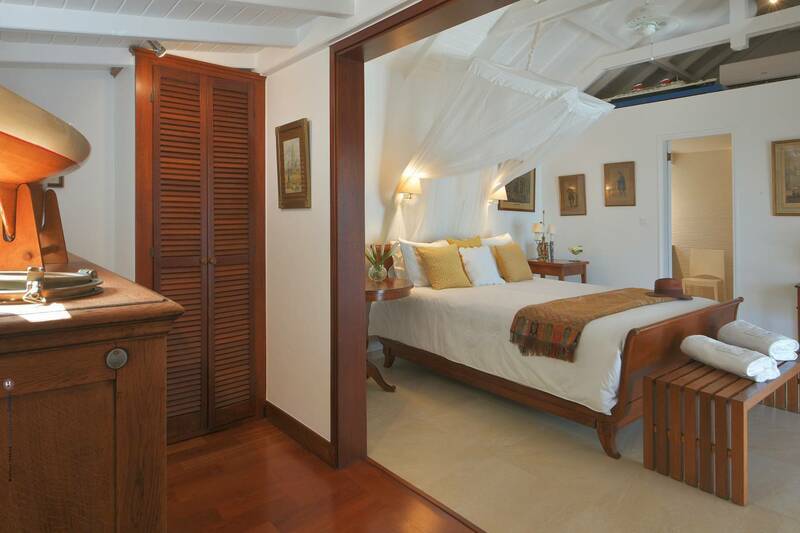 Genia’s en suite bedroom features a king bed and a dressing alcove that would function nicely as a massage nook. 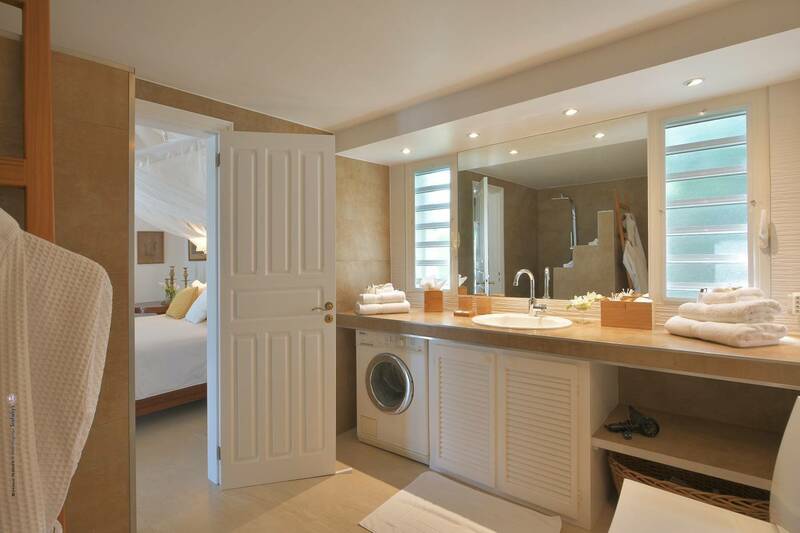 The bathroom has a rain shower and there's a washing machine for guests to use. 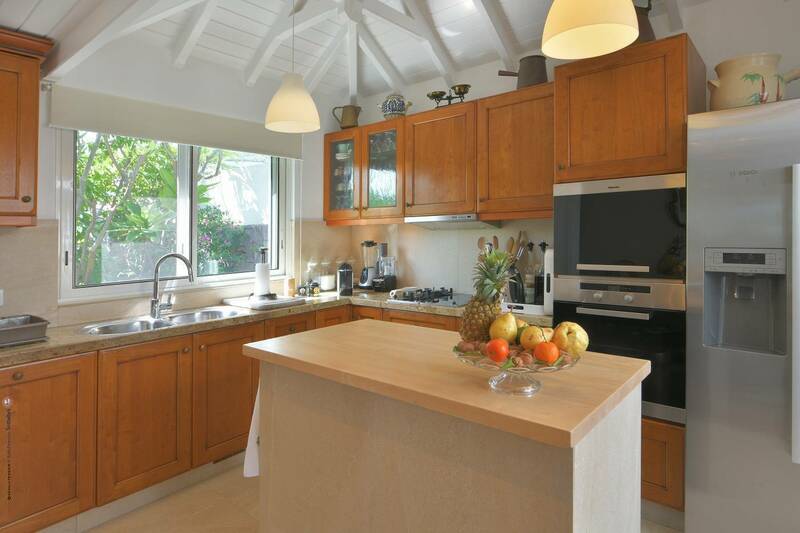 The kitchen is well equipped and the indoor spaces include a spacious living room that is elegantly decorated with art and antiques and a charming patio-like dining area. 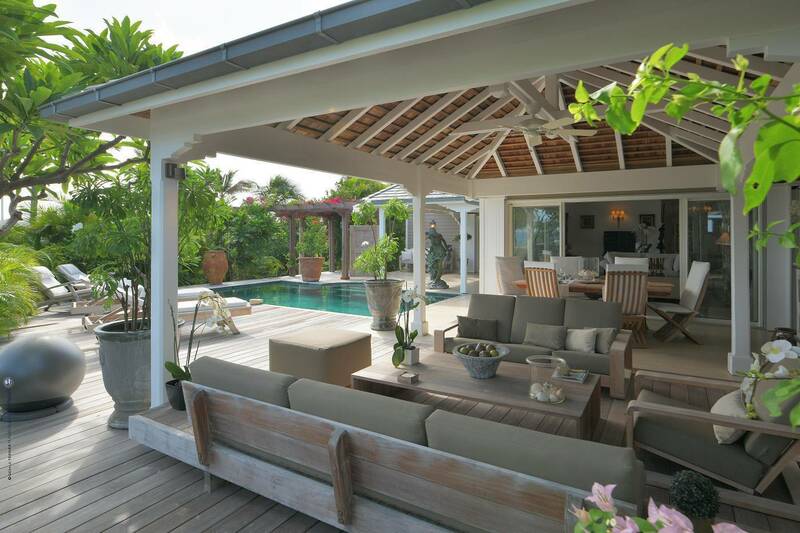 There's lots of outdoor living and dining spaces and the pool is private, delightful and topped off with a sundeck. 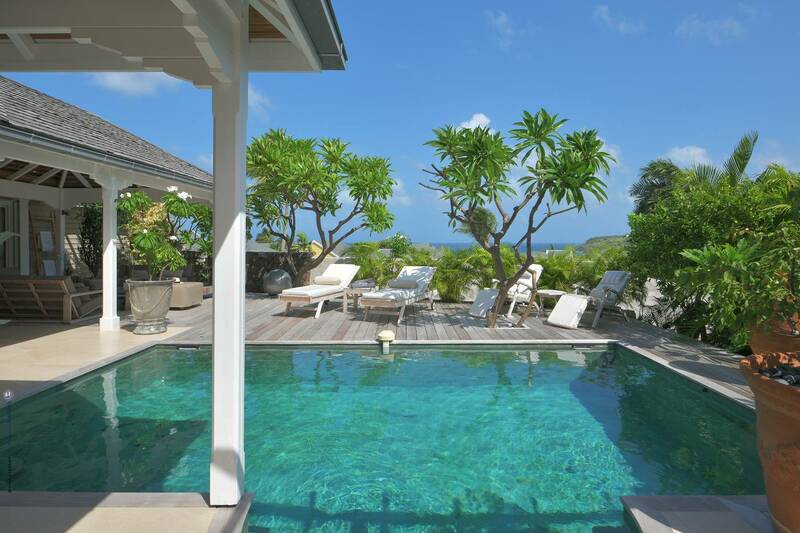 There's a pretty view of Grand Cul de Sac and the lush tropical garden is a delight to behold. 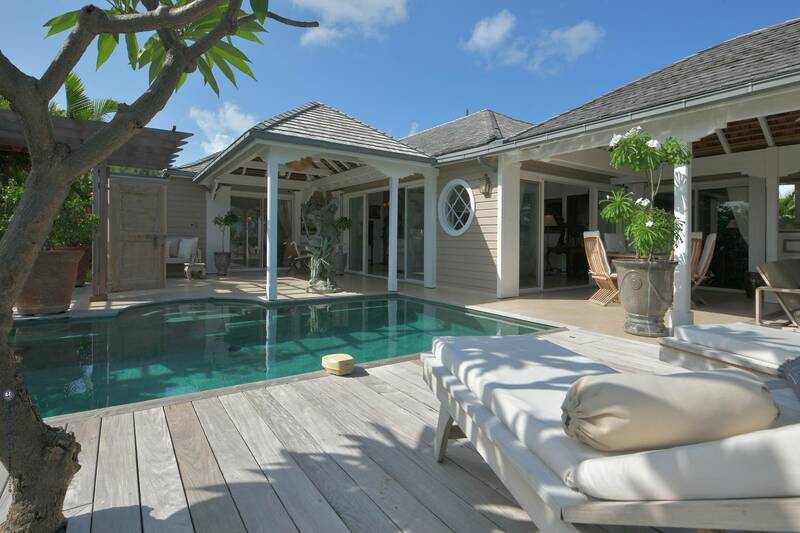 Being 2 minutes from the hotel Le Guanahani – fun to pop over for a seaside lunch or a massage. 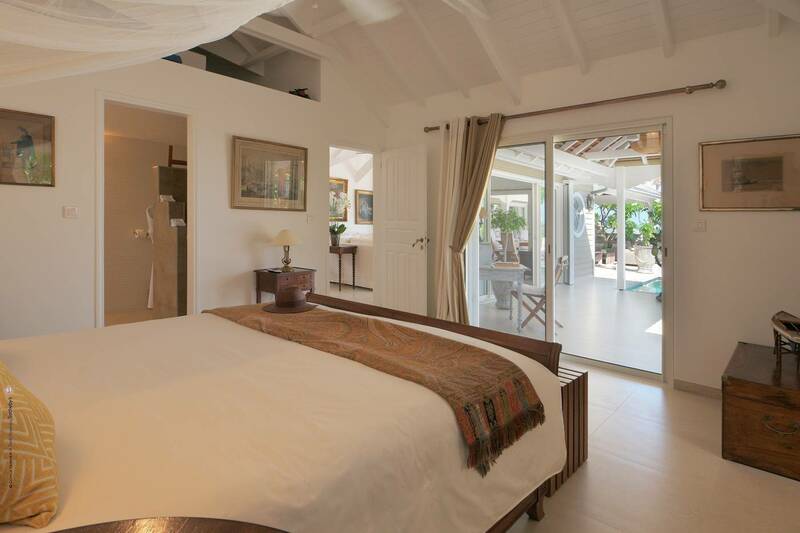 An en suite king bedroom, an elegant living room and a delightful dining patio.